With Thanksgiving behind us and winter fast approaching, it’s time to start planning the next tropical escape. Once the first frost has hit and the heat is turned on in the house, I dread the chilly months ahead. This is the time my mind starts daydreaming about those warm Caribbean breezes, a ride on a catamaran, relaxing on white sandy beaches surrounded by sparkling turquoise blue waters, and a rum punch in my hand. This year is no exception. 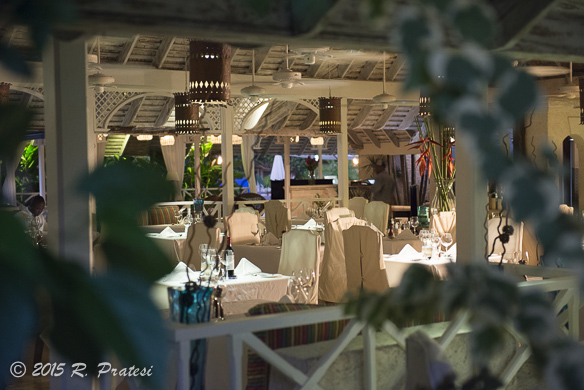 Last December was our first time to visit the enchanting island of Barbados, where we fell in love with the beauty and charm of the island. 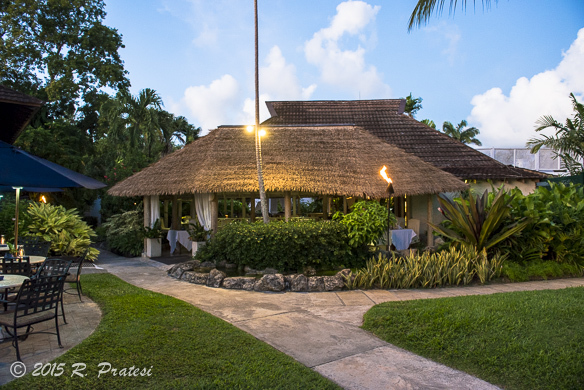 It was also where we discovered The Sandpiper, a beautiful boutique luxury resort in St. James (Holetown). Family owned and operated, we appreciate properties like this where there is so much attention to detail and a friendly, knowledgeable, and attentive staff. 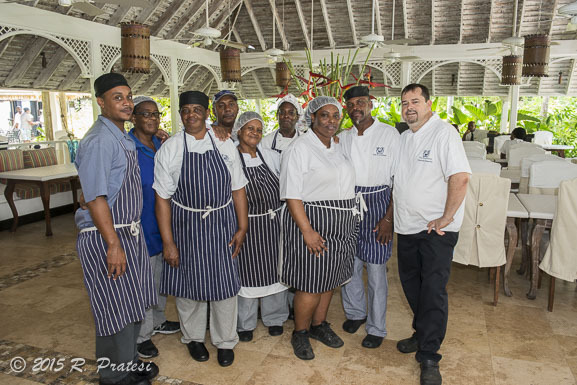 The Sandpiper has recently reopened after a number of upgrades to the property over the summer months, so we thought it was a perfect time to revisit more of the culture and culinary scene of the Island. 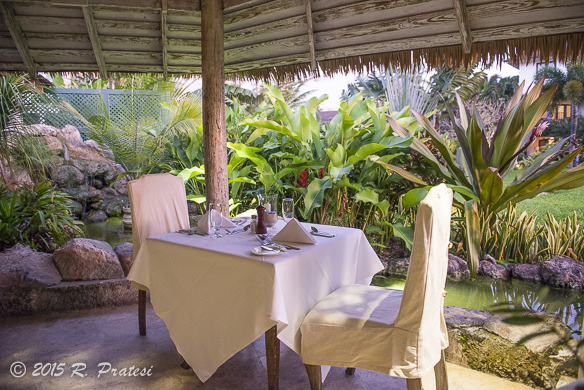 Executive Chef Christophe Poupardin obviously fell in love with this island, too. Born to French parents in Australia, he is a classically trained chef who has lived and traveled throughout Europe, England, and Asia. When he arrived to Barbados in 2002, he settled in and found a home. 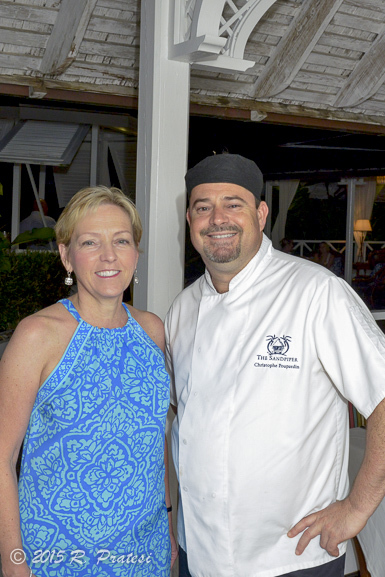 Defining his cuisine as “European with an Asian twist,” Chef Poupardin has been impressing and feeding repeat customers since arriving at the property thirteen years ago. 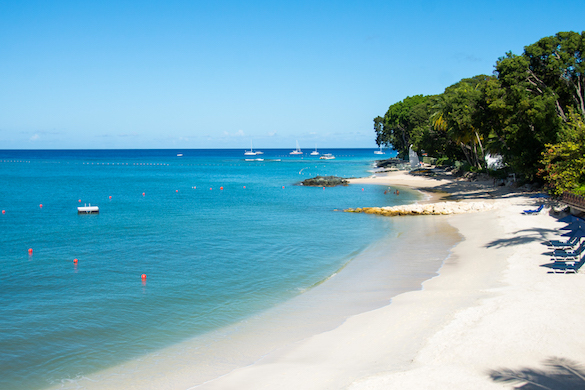 Many guests (especially Europeans) are also quite smitten with Barbados and The Sandpiper as they return year-after-year for their annual holidays and vacations. 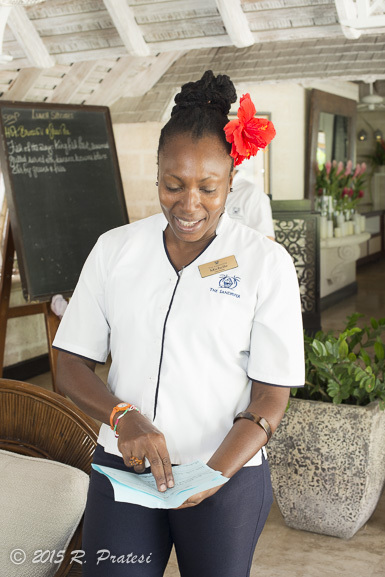 While The Restaurant at The Sandpiper is a top rated spot to dine in St. James, with its beautifully plated dishes, romantic setting, and open-aire dining experience, Chef Poupardin will tell you that the best cooks on the island are the local women, including Michelle, who works at the hotel. 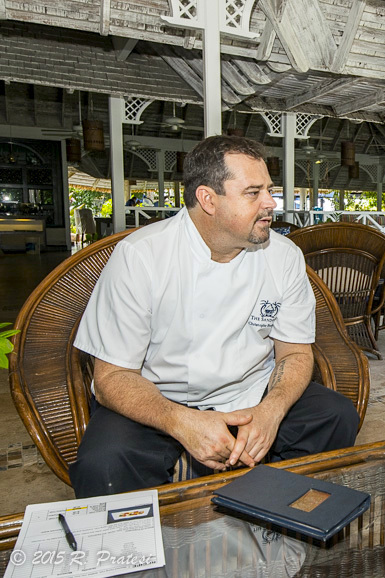 One of the local specialties that both chef and Michelle make is Bajan Flying Fish. There are two versions of this local favorite. One is the elevated version with several plated components and the other a traditional rustic version that is what home cooks on the island will prepare. 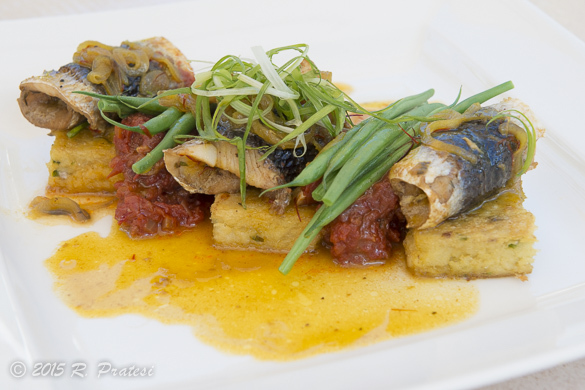 Bajan Flying Fish is the National Dish that is served on Independence Day (November 30th) on the island and combines cou cou (or cornmeal) with thinly sliced cooked okra and saltfish for seasoning. 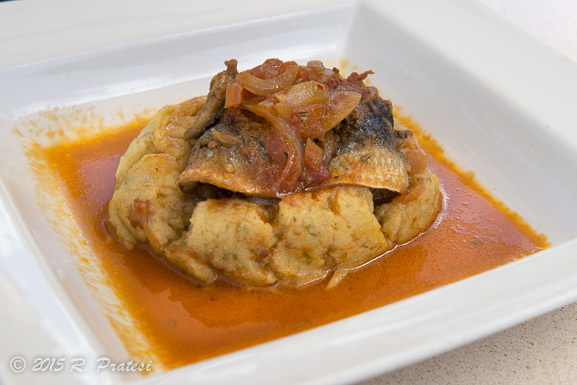 The cornmeal is cooked together with the okra and saltfish to create a smooth and thickened mixture. This is the base for the dish which is then topped with cooked seasoned fish and a saffron butter sauce and vegetables.